EV Volumes has just released its global plug-in car sales report for 2016. There are several exciting findings in the report, including a few that we’ve highlighted in recent weeks, but the most striking news for me was that the Tesla Model S and Nissan LEAF clocked in as the best-selling electric cars in the world in 2016. 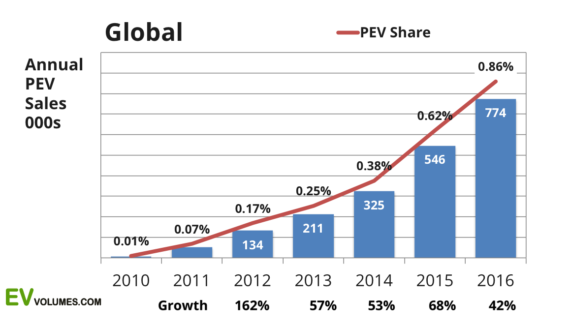 The point isn’t just to get giddy about Tesla again — the point is that it shows how effective and even critical this 100% electric, from-the-ground-up, high-end-models-first, full-EV-ecosystem approach has been. 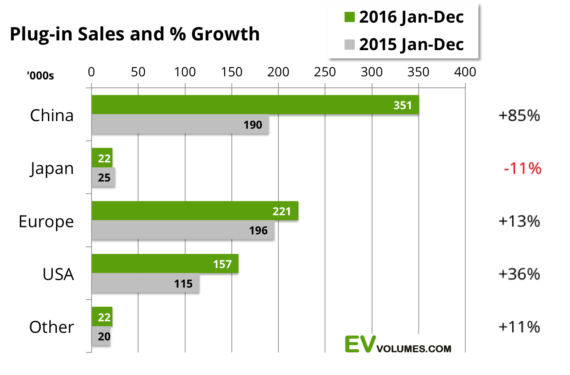 Where would the rest of the EV market be if Tesla hadn’t pushed it forward? Where would the rest of the market be if one of the most desirable cars in history wasn’t a fully electric car? 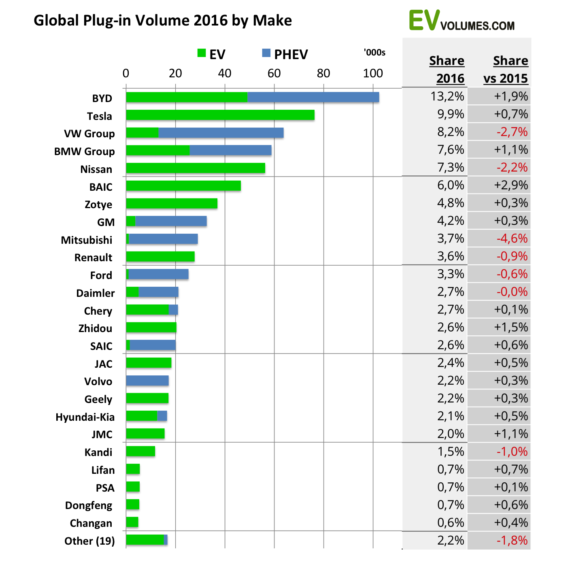 Similarly, the LEAF targeted a lower class when it was introduced in 2011, but the “from-the-ground-up” approach continues to carry it forward at the top of the electric car sales charts. Another top highlight for me was that BYD was #1 as far as overall company sales of plug-in cars, which again emphasizes how a strong “EVs first” approach has been demonstrably effective. Of course, BYD also benefits from being the leader in the hottest — and quite unique — EV market (China). China has big EV incentives from the government and the local market heavily favors Chinese companies. Nonetheless, BYD deserves huge credit for leading that market — and, again, one has to wonder where the Chinese EV market (or incentives) would be without BYD’s leadership. 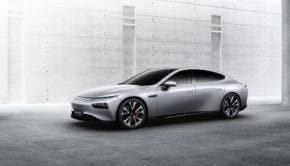 The next thing that jumps out, however, is that companies #3 and #4 are European companies that have heavily focused on plug-in hybrids with quite small batteries and electric driving range (Volkswagen and BMW). These cars have been pretty strongly incentivized in certain European countries, and they may be a good transition approach — offering electric range for the city but gas backup for longer trips. 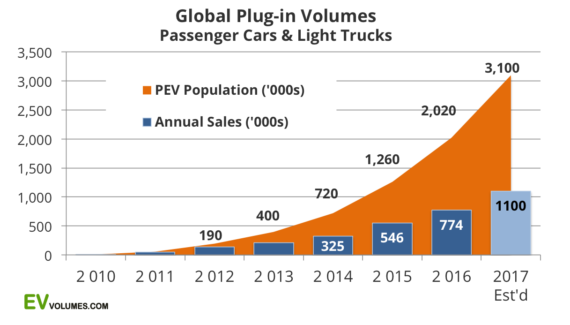 However, the approach and the results make me wonder if the companies aren’t being too cynical about what they could have achieved in Europe and elsewhere if they had focused more on fully electric models or models designed electric from the ground up (not simply converted from a gasoline-based model). Nissan, despite having a much smaller global brand, was right behind BMW and Volkswagen with a pure-EV focus built electric from the ground up. Naturally, another big highlight is the overall growth of the global electric car market. The market rose to ~774,000 sales in 2016 and is expected to reach 1,100,000 sales in 2017, as we both reported and projected recently. It could be a lot faster with better efforts from manufacturers and dealers (not to mention governments), but it’s exciting growth nonetheless. Check out the full EV Volumes article for more insight and stats.